to create today's card - "Hey You!" this week, our hostess is Heather and she's asked us to paper piece! 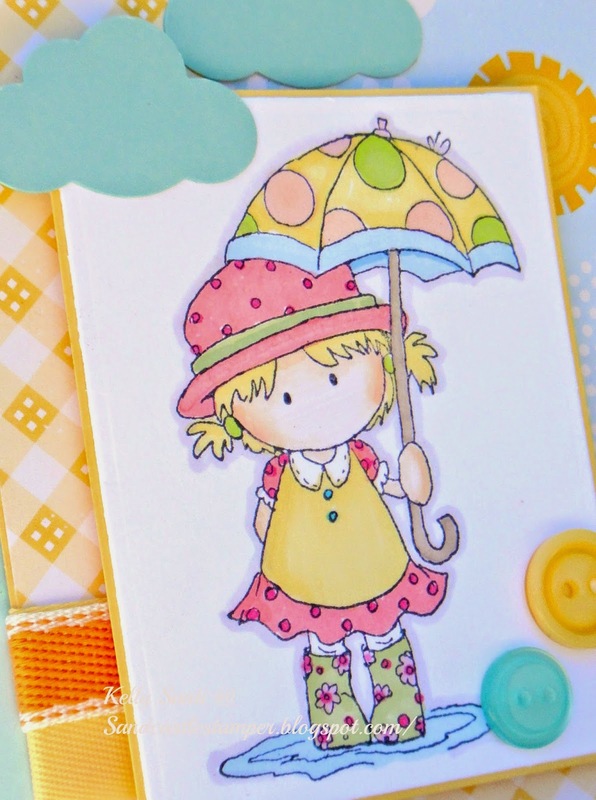 Today's card is sunny, cheerful, SIMPLE! but I was thrilled to use up so many of the paper scraps in my bin. We'd love for you to play along, of course! the stamps carried in the store to the challenge blog here! If I have no umbrella, I share my rain." LJ and Darlene are up this month. Our theme this month is Umbrellas! Believe it or not, National Umbrella Day is February 10th. since we've seen too much white stuff this winter. this was one super cute theme! as well as ribbons, lovely clouds and BUTTONS!!!! 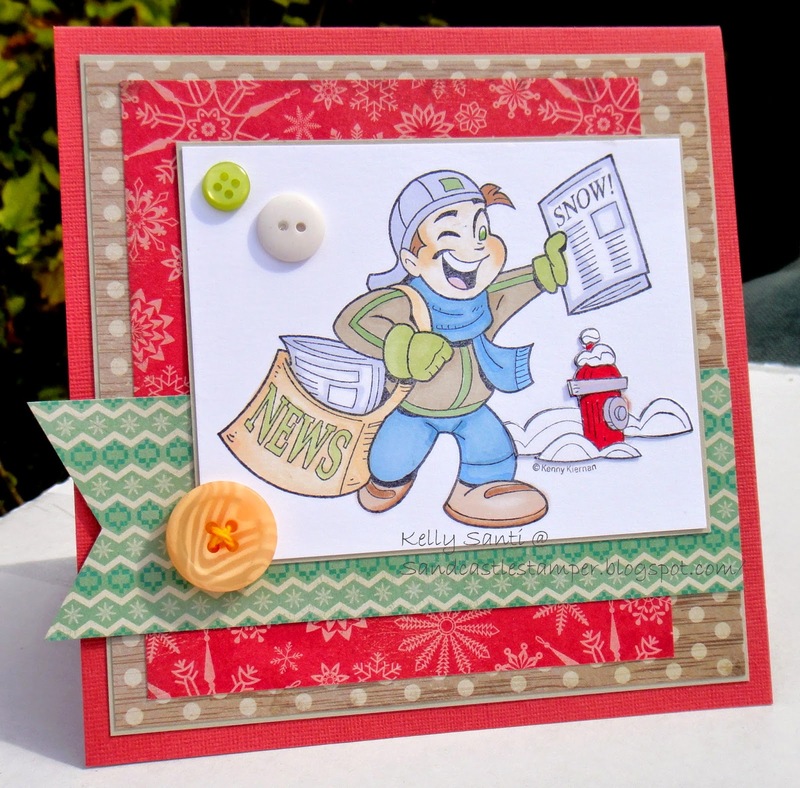 Thanks LJ and Darlene for your gorgeous and fun kits this month! I'll enter my card to: Open Minded Crafting Fun: In the air! 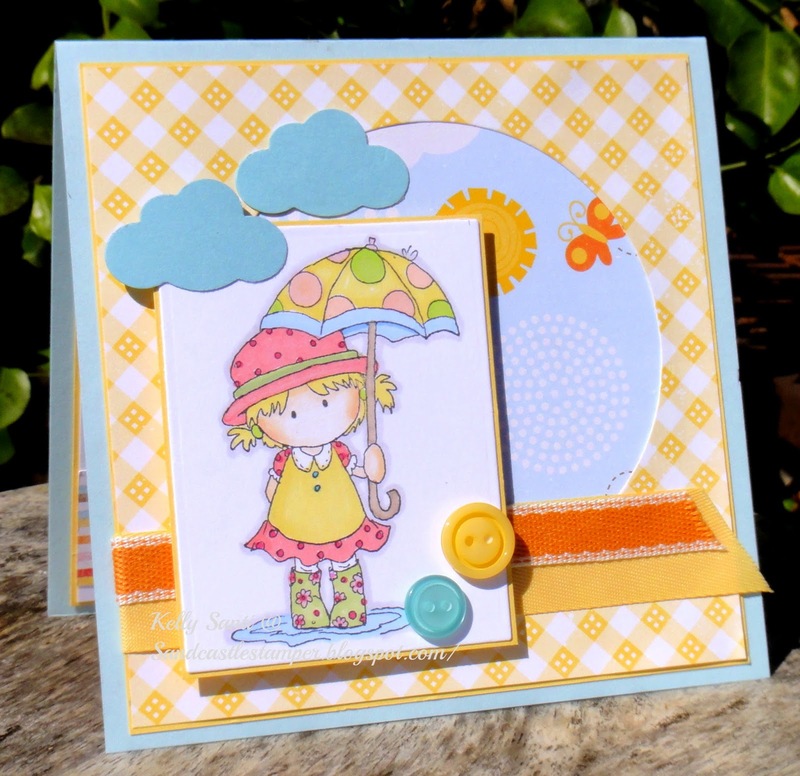 Sweet Stampin' - Song "Singing in the Rain!" I just adore these Art Impression stamps! and sent us this terrific image to create a card with. Some paper piecing, fruit loop colored papers, sequins! and hope your day is filled with all things fabulous! Entered: Red Rubber Designs: So Sentimental! Here Ye, Here Ye - Big News! in and out of countless doctor's offices and the hospital several times. and we pray that she's on the uphill side of the battle. I can't thank you enough for the words of encouragement and prayer! It's good to be back in the Cabana! 3 Musketeer Mystery image - whew! I'm not familiar with, Kenny K digital/stamps. What a unique image, one I confess I had no idea what to do with! and you can see what Jeanette and Barb have made with it, too! 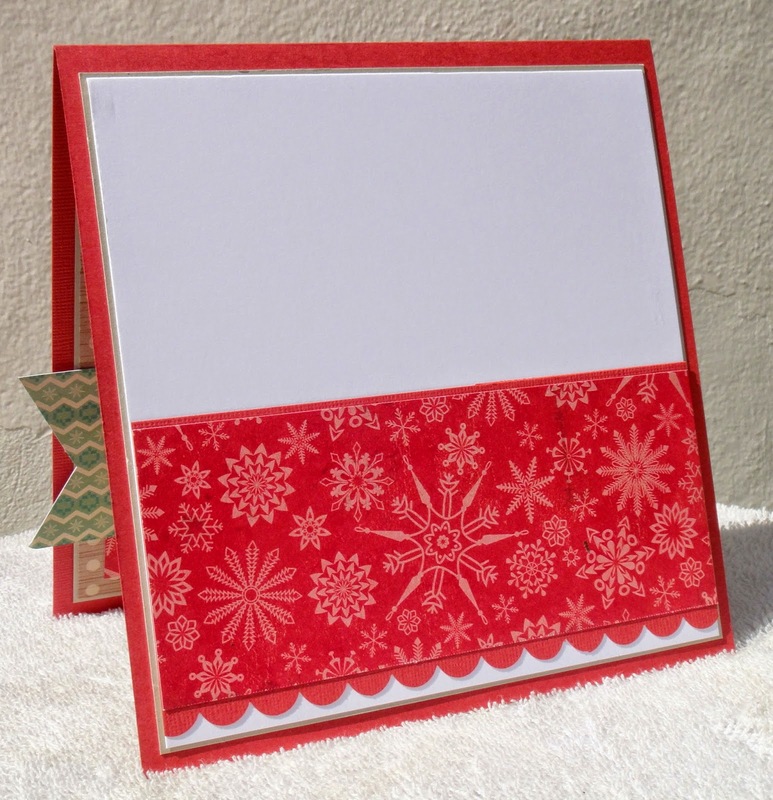 'Bundled Up' stack, a seriously YUMMY paper pad! because it looks really cool that way! 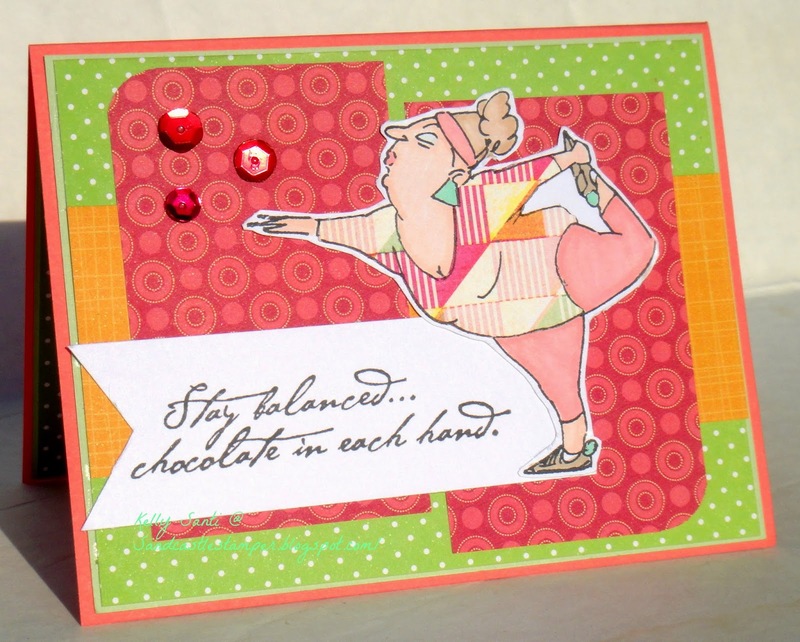 Thank you, Jeanette, for providing this fun image this month!